Tips to help you plan the journey to your next job. It's 6am and the car is waiting outside your house to take you to the airport. Bag and briefcase in hand, you head out to the car for the beginning of yet another tiring business trip. You think back to the beginning of your career when you could not wait for the time when you would get to travel for business. A couple of too many trips later, there is nothing you would like better than to be stuck behind your desk with no travel at all. Grueling as it all is, you are on the road again for better or for worse. I was on the road for several weeks not too long ago and it got me to thinking about the similarities between traveling for business and looking for a job. Planning your trip (picking the companies you want to work for), airlines/hotels (getting to your interviews), business meetings (interviews), packing (resumes, cover letters, etc.) and at the end of it all, filing your expense report (negotiating your compensation). Of course a lot depends on what inspired you to look for a job in the first place. If you are really unhappy in your current job (not paid enough, not challenged, not a good place to work, etc.) then you've been proactive in planning your next trip (as in search for a job) and ready to be on the road again. If you've lost your job, then your search is like one of those business trips from hell – you really don't want to go but really don't have a choice. If you are like most of us, you think you know everything you need to plan your trip but don't mind a little help just to make sure you don't forget to pack something. All of us have our skill sets, but not many of us are experienced enough in job search to be able to put together an effective marketing plan. The first step in fixing this and getting on the right track is to admit to yourself you need some help (and there is nothing wrong with that). While not as important as your resume, your cover letter is typically the first thing a recruiter or company HR representative sees. If it is missing or poorly put together it is unlikely they will even look at your resume so it is important to get this right. Your references can make or break you. They must be representative of your career and social networks. The general rule of thumb is to avoid relatives, but you should definitely leverage “friends of the family”. You also should have a fair representation of peers, subordinates and managers. Networking for job search is underrated (and it certainly is not the Psychic Network). For some of us (like me) there is nothing I like less than “bothering” a former co-worker, friend, relative or business associate to let them know that I am out of work &/or looking for a job. There are, of course, many people who don’t have a problem with this. Seven Networking Myths: Fact or Fiction? Safe travels and good luck in your job search. This article is part of the 4th Annual JobMob Guest Blogging Contest, which was made possible thanks in large part to our Gold Sponsor, Jason Alba of JibberJobber. If you want Joey Trebif to win, share this article with your friends. We agree. Just bring the essentials. Yourself, Resume, cover letter, confidence and nice dress clothes. You will be well on your way. 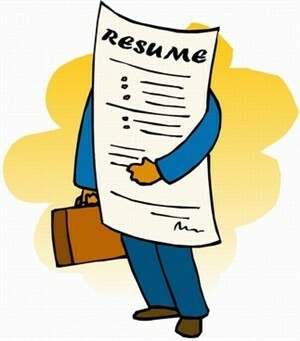 You may like this article on resumes. At some point you might need to expand your job search to other cites, states, or even countries. I find it interesting how many people never travel beyond their own neighborhood. You never know where that next great opportunity will be. I have to have this discussion with my students all the time. If they want to work, they may have to move.